On the Keto Diet, things can get pretty monotonous very quickly! In the beginning, bacon and eggs for breakfast seemed like a dream come true. But food can get boring if you have it too much. 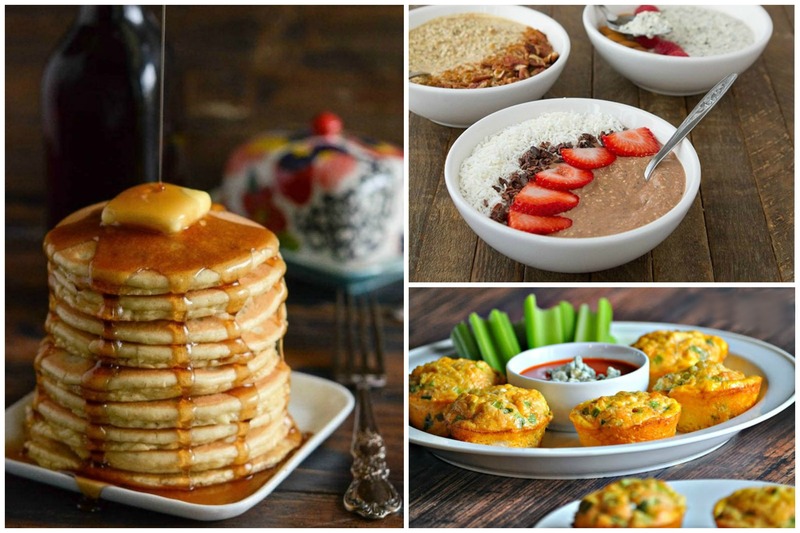 Since you loved Keto Snacks: 13 Low Carb Snacks To Help You Burn Fat Fast and Keto Lunch Ideas: 33 Packable Keto Lunch Recipes For Weight Loss, I rounded up a few ideas for the first meal of the day: Breakfast. Enjoy these 15 quick and easy keto breakfast recipes that’ll help you lose weight! Who doesn’t love a delicious, loaded omelette first thing in the morning?! 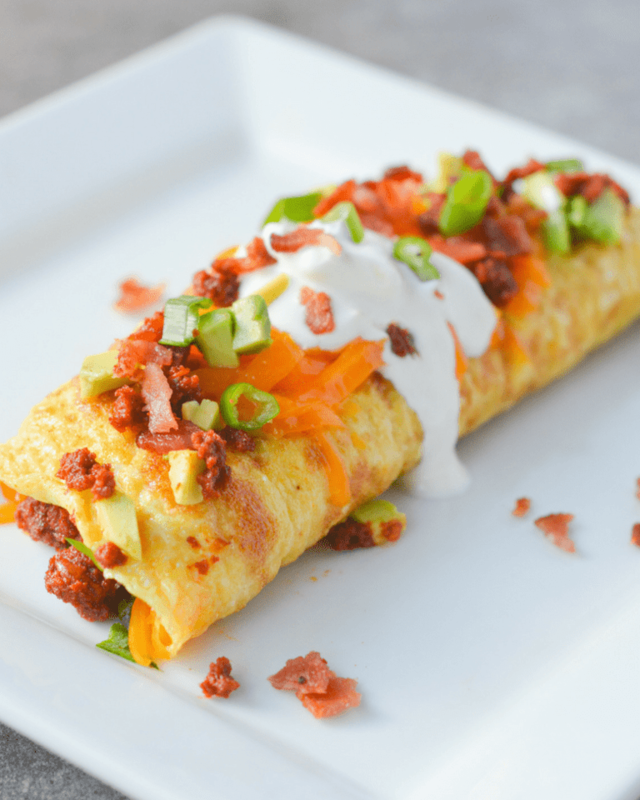 This chorizo recipe is completely keto-approved – full of fatty, rich protein that will keep you feeling satisfied until lunch. And as a bonus, this recipe can be made for any meal of the day! 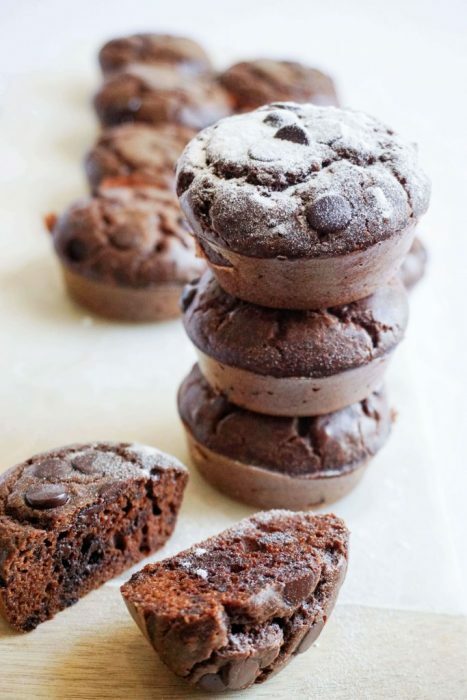 If you like to treat yourself once in a while, these chocolate muffins are the perfect solution! Enjoy this delicious breakfast with a cup of keto coffee. 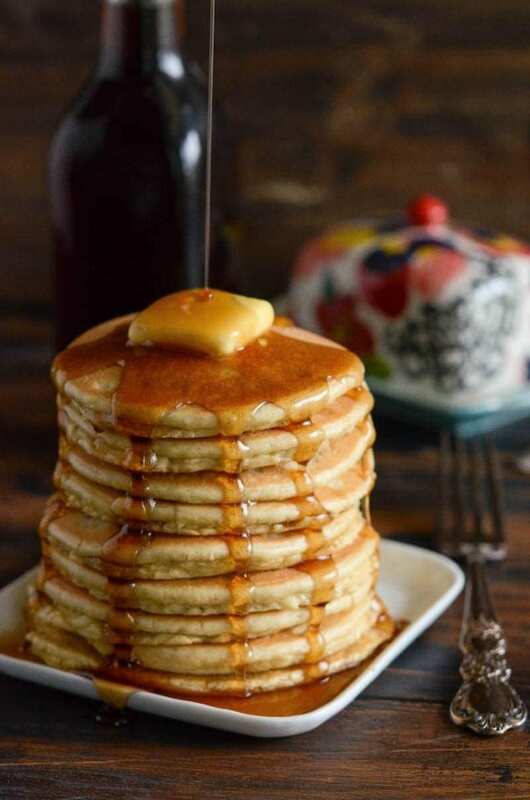 Do you miss the traditional breakfast of pancakes? Look no further than this delicious low carb pancake recipe. The secret ingredient? Almond flour! 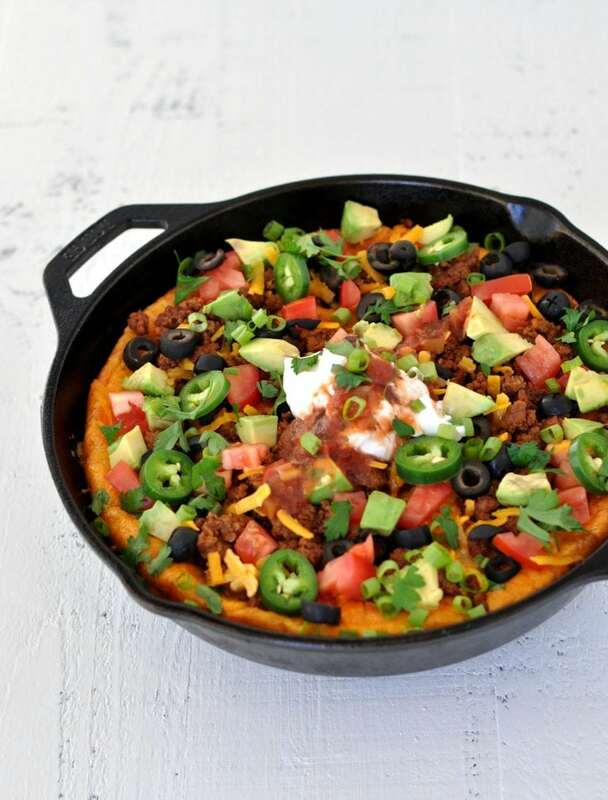 When you’re craving Mexican food, this delicious skillet recipe is going to hit the spot! The best part is, you can have it for breakfast! And for those busy mornings, you can simply throw this together in 15 minutes and save the leftovers for lunch. 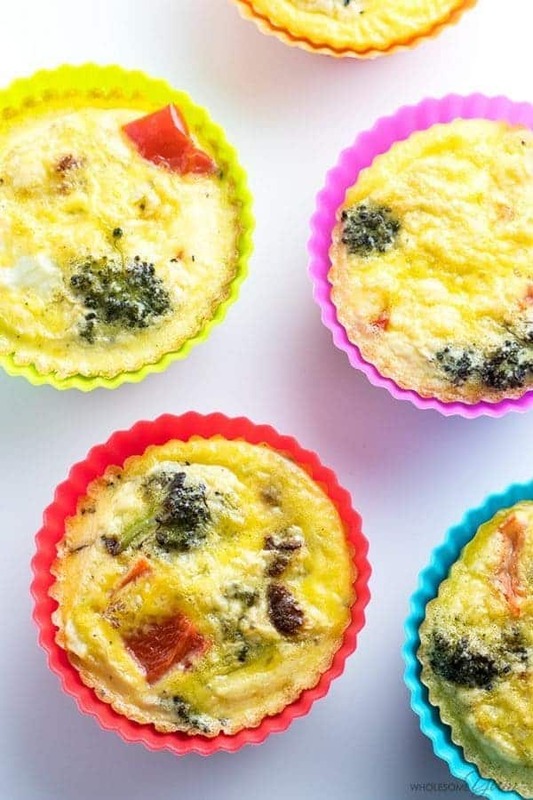 Roasted broccoli, red pepper, and other veggies give these egg cups a healthy punch! If you’d like to alter the recipe slightly, you can always add your favorite veggies to the mix. With only one net carb in each muffin, it’s okay if you go back for seconds! If you and your family are Hot Pockets lovers, you have got to give this recipe a try! 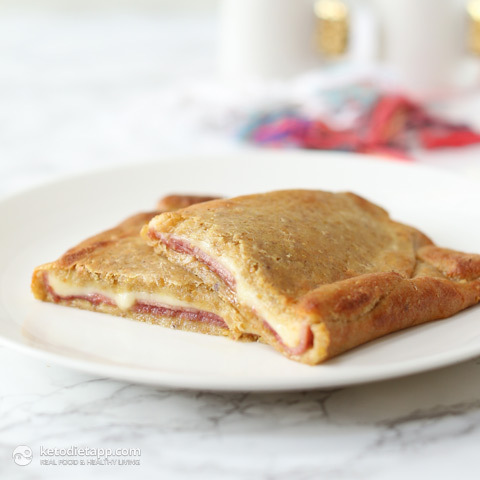 In fact, these ham & cheese pockets actually taste better because they have NO processed junk in them. Health and keto-approved for the win! Don’t let the idea of a salad for breakfast throw you off. 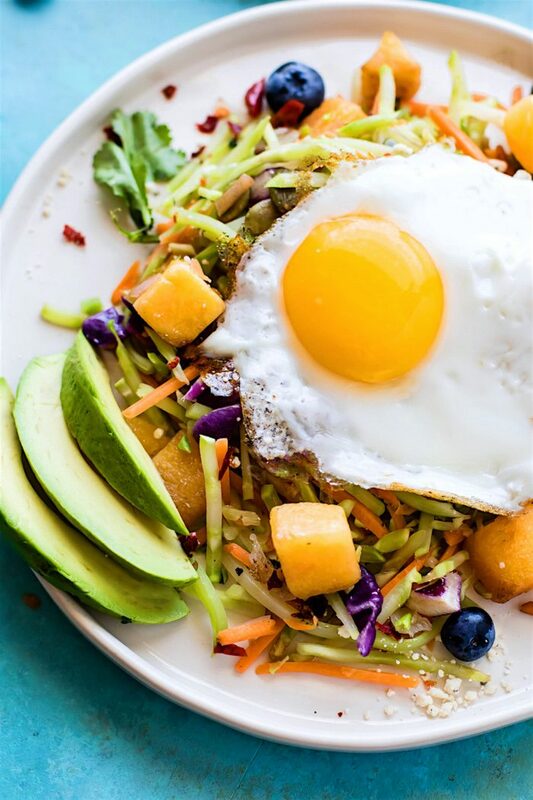 This warm breakfast salad is absolutely delicious! The warmness of the eggs go perfectly with the fresh veggies. Why not start off your day by getting all your healthy greens in?! That is why this recipe replaces oats with hemp hearts. Try this easy grab-and-go breakfast that will satisfy that craving for something sweet and savory. 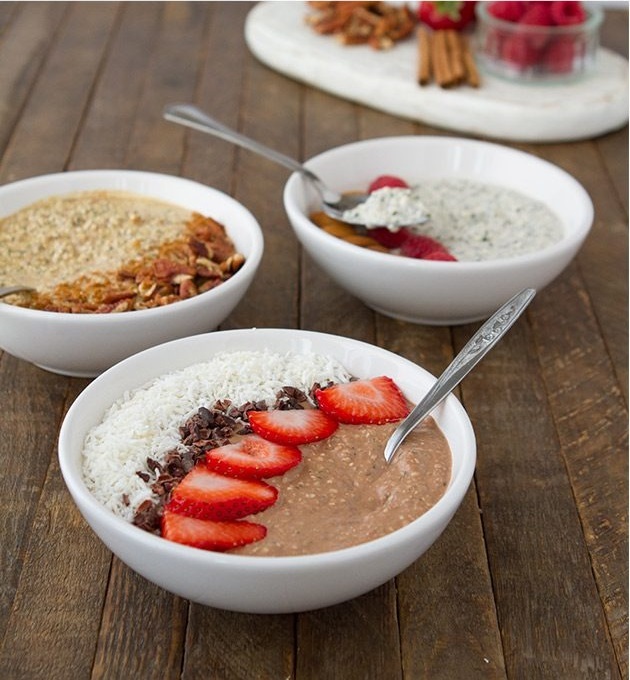 Some mornings, you just need something quick, sweet, and savory! 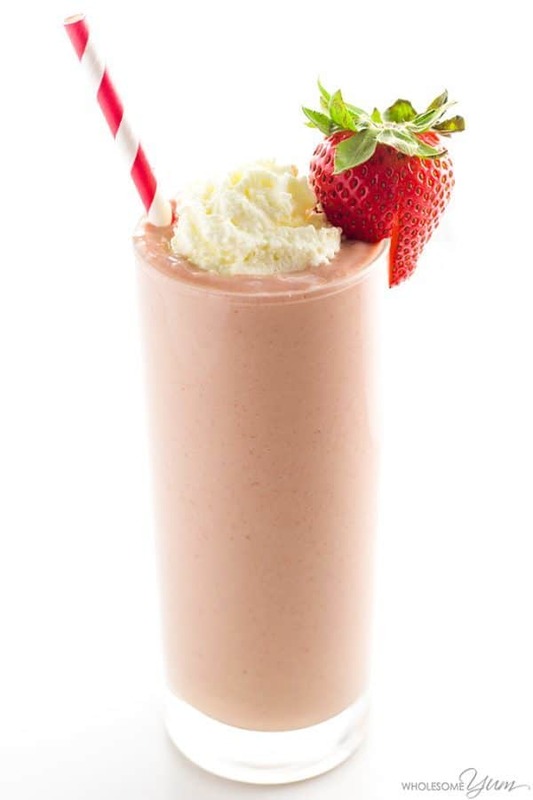 This low carb fruit smoothie is full of healthy fat and 100% keto approved. 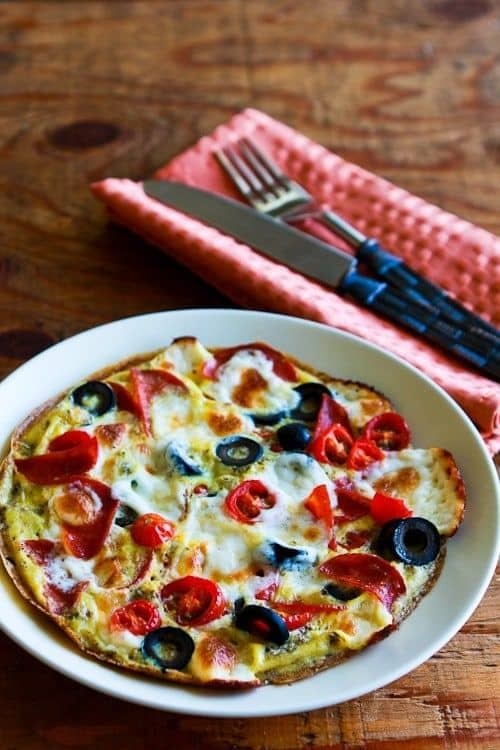 This pizza recipe is keto approved because it’s crust is made from egg! Better yet, you can save the leftovers for lunch or supper. Having friends over for brunch, but still want to stay within your keto diet? These keto breakfast sandwiches are perfect! 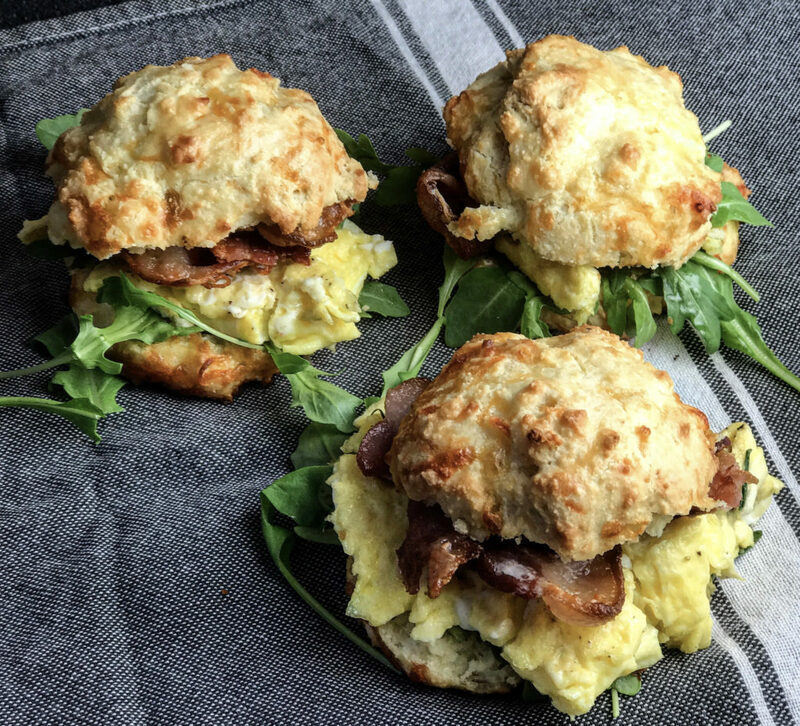 They are made with scrambled eggs, crispy bacon, and arugula. 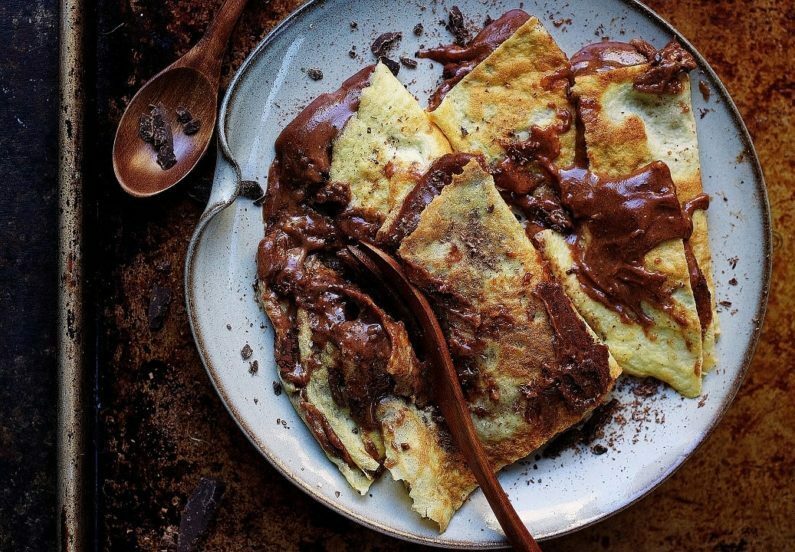 One look at these delicious crepes and you’d think that you would have to CHEAT on your keto diet. No worries! Not only are they only 4 carbs per serving, but they are also gluten free, paleo, and sugar-free. Looking for something spicy and tangy? These will really hit the spot! 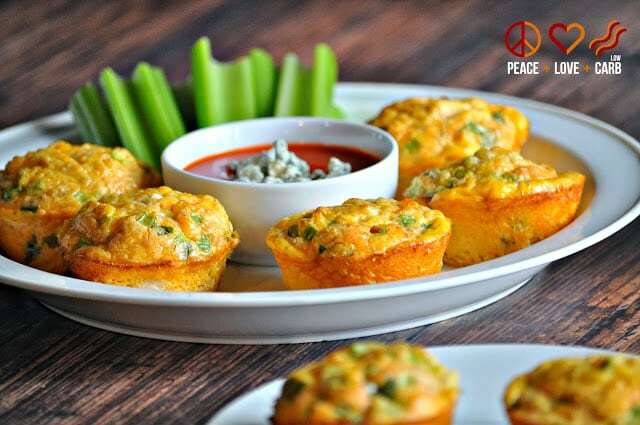 This egg muffin recipe is creative and DELICIOUS! You can also whip these up as an appetizer at the next get-together. Hold up! Did someone just say waffles and cream cheese!? 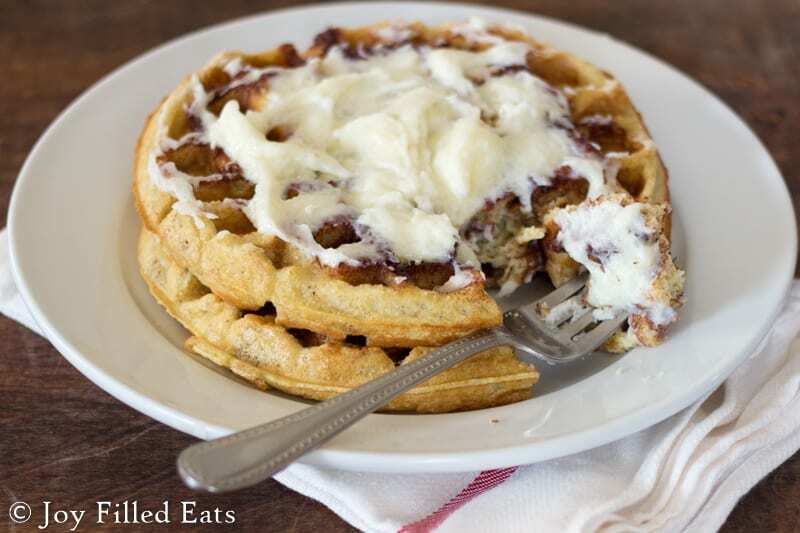 This breakfast recipe not only looks delicious, but it is also Keto Approved! Enjoy devouring every last second of this low carb breakfast dream. 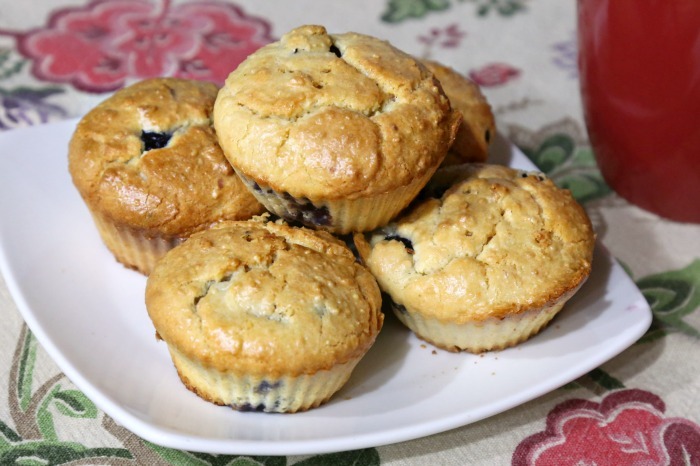 On the days when you are craving something tasty and carb-like, this muffin recipe is the key! If you like fresh, zingy flavors, you LOVE this recipe. The blueberries add the perfect amount of sweetness. Enjoy! No breakfast is complete without a cup of keto-approved coffee! This bullet proof coffee is full of protein and absolutely delicious. 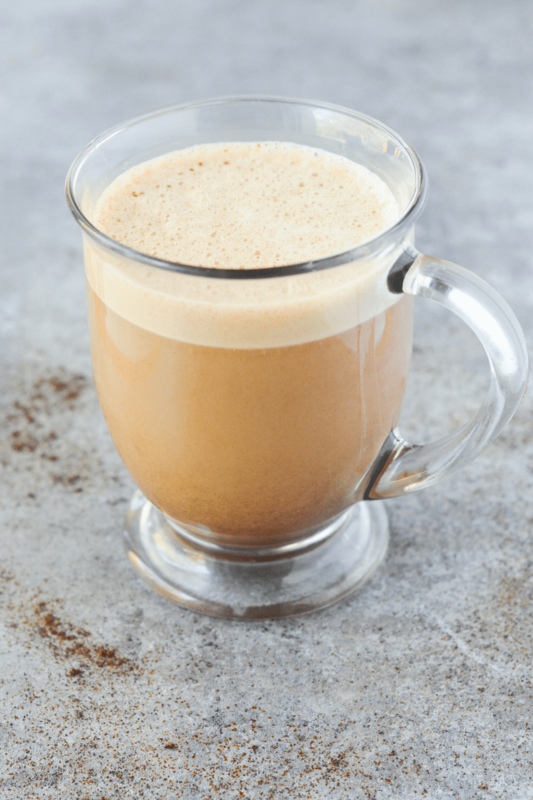 Try these additional keto coffee recipes and enjoy!